A postcard from France, sent by postcrosser Carolina for France – rest of the world tag. 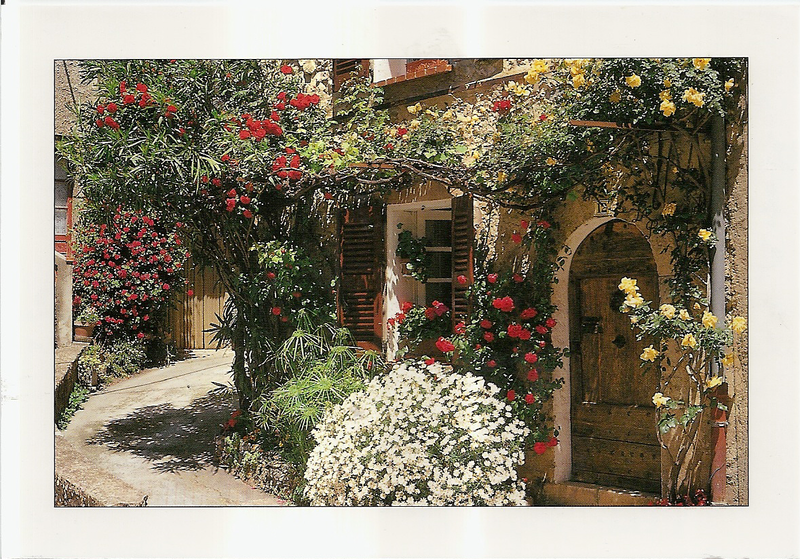 The postcard shows a house in Southern France that is full with flowers. At the back, Caroline affixed one commemorative stamp and two definitive stamps. 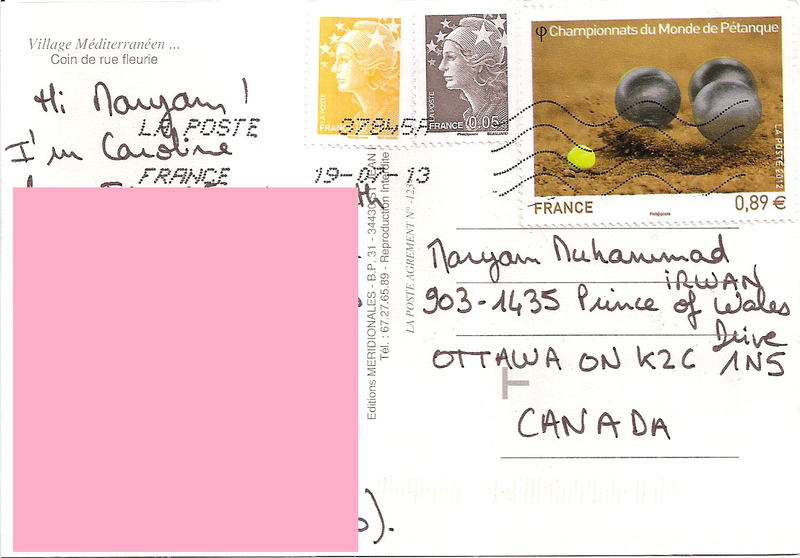 A machine cancel was applied with postmark date 19 July 2013. Thanks a lot Caroline!